The Grand Strand stretches for 60 miles along the South Carolina coastline and at its heart lays Myrtle Beach, embodying the spirit of incredible beaches and surrounded by all the fun and excitement of the Grand Strand. You’ll find all the most popular attractions like the Carolina Opry and the Palace Theatre, great shopping in places like Broadway at the Beach, incredible dining, and family fun everywhere. 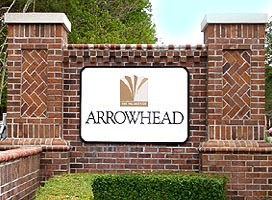 Arrowhead Golf & Country Club Homes in Myrtle Beach is a collection of nine neighborhoods linked by one homeowner’s association. Each community has its own distinct look and feel. Each borders the renowned Arrowhead Golf Complex, a 27 hole golf course featuring three 9-hole tracks. The distinctive courses – The Lakes, The Cypress, and The Waterway – have their own individual atmosphere and the Arrowhead communities match it. The golf communities of Arrowhead are some of the most respected subdivisions in Myrtle Beach. Some areas of Arrowhead are situated along the Intracoastal Waterway which not only feature a golf setting but also offer remarkable views of the boats as they move up and down the Waterway. Others offer nature settings with lakes and wetland views. The traditional pastoral greens of a peaceful golf course grace other views. Many of the homes are the creations of D. R. Horton and feature fabulous upgrades like Florida rooms with lake and golf course views, trey ceilings, and 2 car garages. An excellent HOA keeps the communities in the best shape and offers community pools, golfing privileges, and lighted tennis courts. Some areas of Arrowhead are newly developed and in some cases you can choose your own paint colors. Homes are available in all sizes and prices, from 3 bedroom homes for around $150,000 to lavish 5 bedroom houses around $300,000+. 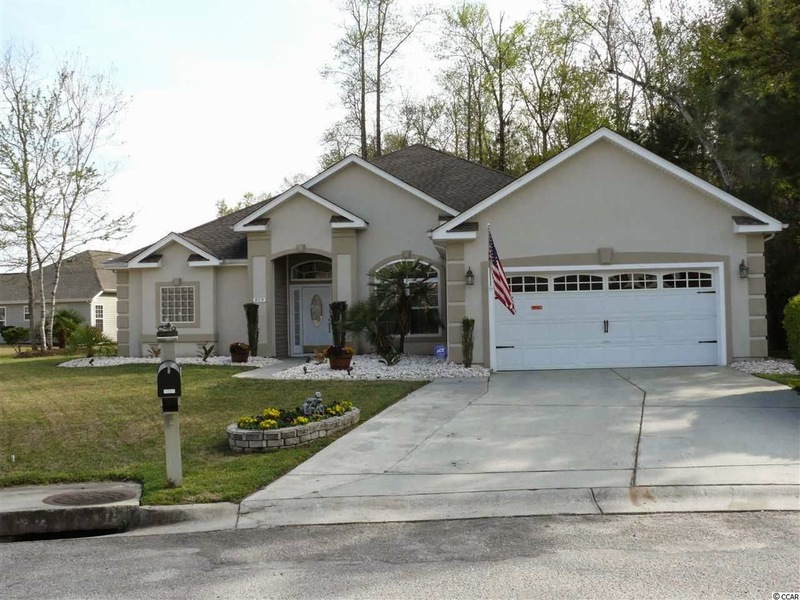 Let us show you all the beautiful homes for sale in Arrowhead Myrtle Beach. Call us today!